A completed patio home community. Whatley Place is a completed community named after the Whatley family who previously owned and farmed the land for peaches. 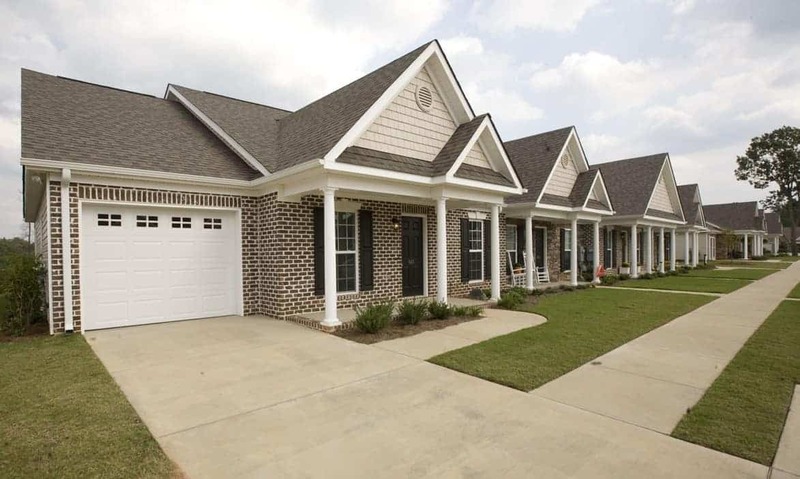 The development features low maintenance, upgraded town homes near the heart of North Augusta but only minutes from the amenities Augusta provides. Whatley Place is comprised of homes starting at 1100 square feet and up to 1900 square feet. Each unit has a privacy fenced back yard and a fully landscaped front yard including an automatic sprinkler system. Many of the homes feature sunrooms and screened or covered porches. The three phases of Whatley Place feature 7 acres of common area which includes a 1/4-mile concrete walking trail in a wooded area with park benches. The community offers a covered pavilion with picnic tables and barbecue grills, great for family gatherings.